F0940 - Newport Chest with Changing Top: Painted in Super White with Royal Blue lining, floral border detail on drawers, sides, top and interior of changing top. 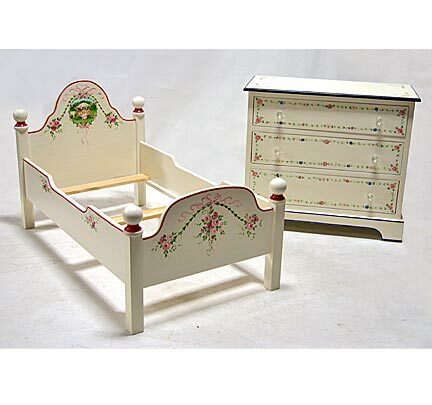 F2017 - Toddler Bordeaux Bed: Painted in Super White with Victorian Pink lining. SC-34 fairy tale motif and ribbon and floral accents.